The sporty material gets a make over. 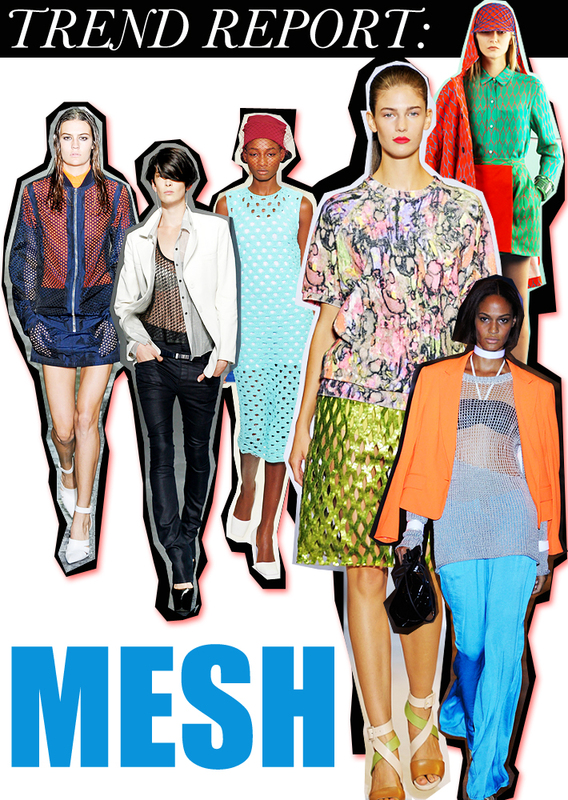 Mesh was featured across the board in various renditions for spring 2012. Alexander Wang went with a literal interpretation using mesh for athletic inspired pieces. Kenzo took a modern approach showing several printed mesh patterned coordinates. Quasi-mesh fabrics graced the runways of several designers in the form of lightweight open weave knits. Diamond shaped laser cut mesh dresses and skirts were another fresh take on the fabric. I love how designers were able to make this athletic fabric fem. Are you ready to get your game on? These neons for fashion came at the right moment to brighten our lives and perspective. It's fun, fresh, and retro--I'm ready.